A few miles south of San Luis Obispo, Green Gate Farms has essentially spent the last several years asleep, quietly submitting to the entropic effects of weather and time. In the '70s and '80s the elegant equestrian center was renowned enough to attract Mid Eastern royalty, former President Ronal Reagan, and Wayne "The Midnight Idol" Newton to its gala auctions of the best-bred Arabian horses, but after its stewards passed the ranch to younger generations, the buildings slowly degraded, becoming little more than a cluster of creaky houses and a ramshackle barn amid a few hundred acres of greenery. OLD RANCH LEARNS NEW TRICKS : The new owners of Green Gate Farms, a 210-acre site in Edna Valley, want to transform the once-renowned equestrian facility into a vacation destination with a museum, permanent farm stand, vineyard, and frequent events. In 2012, the land suddenly awoke. 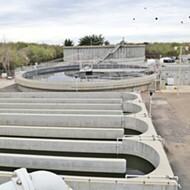 Local developers John Wilson and Brad Goodwin bought the property in July and formed a new company, Green Gate Farms SLO, LLC, to manage the affairs of the place. Though the terms of the transaction were kept confidential on official county documents, the company used the property as collateral on loans of nearly $5 million. A flurry of refurbishing projects commenced almost immediately. The barn was rebuilt, 75 acres of grapes were planted, and 1,990 cubic feet of earth were moved to accommodate a horse arena. Taken together, the work was enough to prompt neighbor Darren Shetler—himself a developer—to worry that a larger commercial project was in the works without proper public oversight, so he filed an appeal against the farm’s grading permit. 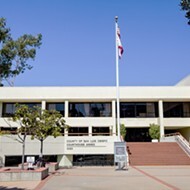 On March 5, the SLO County Board of Supervisors heard opinions from both sides. Speaking pro bono on Shetler’s behalf, real estate lawyer Roy Ogden argued that the full scope of the project hadn’t been adequately defined and that a different type of permit and an environmental review were needed. He showed images of past flooding on the site and noted that the Edna Valley grasslands are home to several threatened species of wildlife. Ogden also claimed that, considering the extent of reconstruction, the barn should have been subjected to the same requirements as a completely new building and moved farther from the access road in accordance with newer setback standards. According to Ogden, rumors were circulating about plans to transform the horse facility into a second “Avila-type Barn,” with a constant stream of visitors and frequent large-scale events. 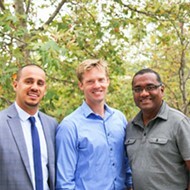 Ogden said the company offered online to play host to weddings at the ranch, but that language can’t currently be found on greengateslo.com. As of this writing, the website advertises the property’s potential for vacation rentals, horse boarding, and trail rides. Hints of future plans remain. Responding at the hearing on behalf of Green Gate, planning consultant Jamie Kirk focused the conversation on the specific permit that was facing appeal, arguing that the arena wasn’t located near areas prone to flooding and that any other worries about hypothetical future plans weren’t relevant. The developers had been granted the necessary permits for all the work so far, and they would continue to apply for the necessary permits if and when they decide to add more commercial elements to the project, Kirk said. 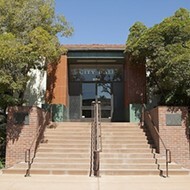 According to records on file with the SLO County Planning and Building Department, business licenses and seven permits had been issued for the property. Any plans for limited events would be “thoroughly vetted through the public process,” Kirk promised. Her answers satisfied the Board of Supervisors, who voted unanimously to dismiss Shetler’s appeal. Everything was in order, they said, and the whole debate seemed to be overblown. The following weekend, a New Times reporter drove past the ranch and observed a large-scale event in progress. Dozens of cars packed the grounds for the party, which property co-owner Brad Goodwin later described as a fundraiser for San Luis Obispo High School Athletics. Then, on March 19, Green Gate submitted an application for a conditional use permit that confirmed Shetler’s and Ogden’s suspicions. The company wanted permission to play host to up to 125 temporary events every year with 200 to 500 attendees, operate a permanent produce stand and deli-style restaurant from 7 a.m. to 9 p.m. daily, showcase the site’s history and famous visitors in a small museum, and feature farmer’s markets two to three times per week. 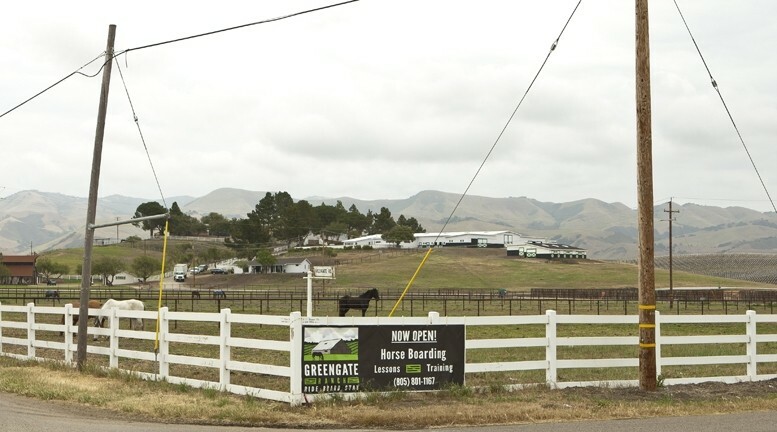 “Our vision is to provide the surrounding communities with a facility where parents can introduce their children to horses and livestock, an active outdoor lifestyle, and the beauty of open space ad agricultural land,” the applicants wrote. The 30-page permit application prompted the Planning and Building Department to issue an information hold, asking the developers to provide details on foreseeable environmental impacts, traffic expectations, potential mitigation measures, and the like. 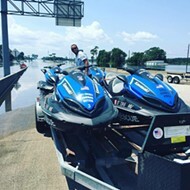 Until those questions are answered to county staff’s satisfaction, no for-profit events or alternate uses are allowed to occur on the property. According to the application, the 125-desired-events-per-year figure doesn’t include nonprofit functions, which the developers claim aren’t governed by the land use ordinance. The ownership philosophy includes an unrestricted “give-back” component to encourage nonprofits to hold fundraising events at Green Gate. Language in the county’s temporary events ordinance allows for unrestricted free-admission events if they’re run by nonprofits. 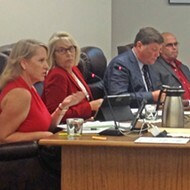 Any fundraising event that sells tickets—like, for example, Green Gate’s May 4 Kentucky Derby Party that cost $60 to attend—shouldn’t be allowed under a strict interpretation of the rules, according to Karen Nall of the county’s Planning and Building Department. The party helped the Clark Center for the Performing Arts raise around $10,000 in cash, according to a spokesperson for the nonprofit. As noble as that is, Nall said the fact is kind of irrelevant. Nall admitted that the county’s temporary events ordinance has historically been loosely interpreted and enforced. An effort to re-write some of the rules and make them more clear has been under way for years, but hasn’t seen much success, she said. In the mean time, individual staffers seem to interpret the rules in different ways. The department’s assistant director, Kami Griffin, said that property owners are allowed to lend their sites to nonprofit organizations for events that charge admission, as long as the admission fee acts as a donation to the nonprofit. That arrangement is practiced at properties throughout the county to help raise money for many important environmental, social, and artistic causes, according to consultant Kirk, who said she’s worked directly with Griffin to organize events like Savor the Central Coast at Santa Margarita Ranch, which also hasn’t been subject to the temporary events ordinance. Kirk added that the Sierra Club is planning a fundraiser at a private home in Edna Valley and selling tickets for a donation of $90. According to Goodwin, Green Gate didn’t profit from the fundraisers on its property, and there’s no way to micro manage nonprofits and ensure that they don’t charge admission on their end. He said the company ran all of its plans by the county prior to holding any events. *Editor's note: This article was amended on May 10, 2013 to include the opening paragraph, which appeared in our printed publication but was mistakenly omitted from the web.